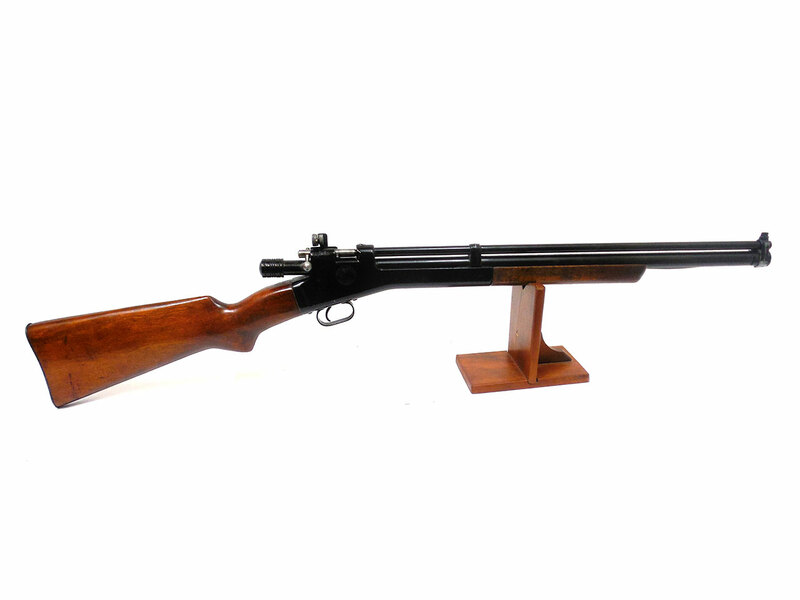 Similar to the model 101 (the standard Crosman air rifle for over 25 years), but is .177 caliber instead of .22. 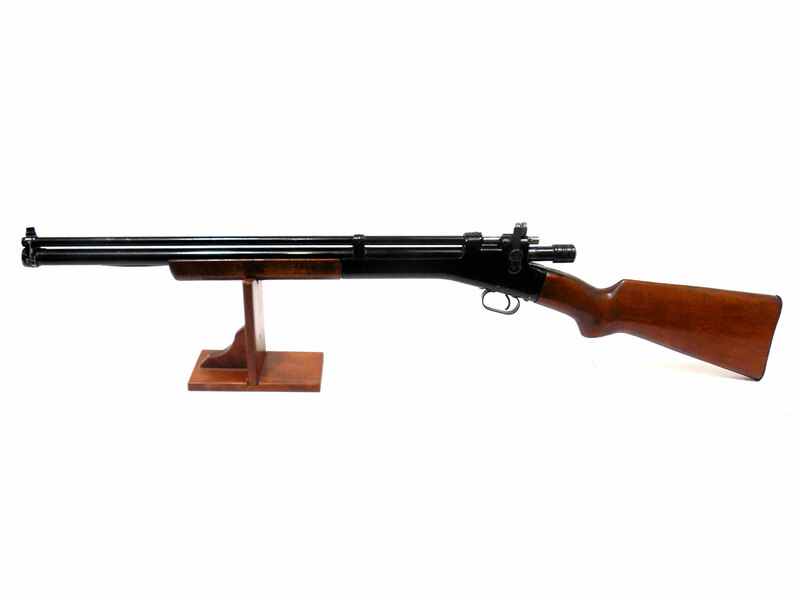 The Crosman 100 is a .177 caliber pneumatic pump bolt action single shot air rifle. 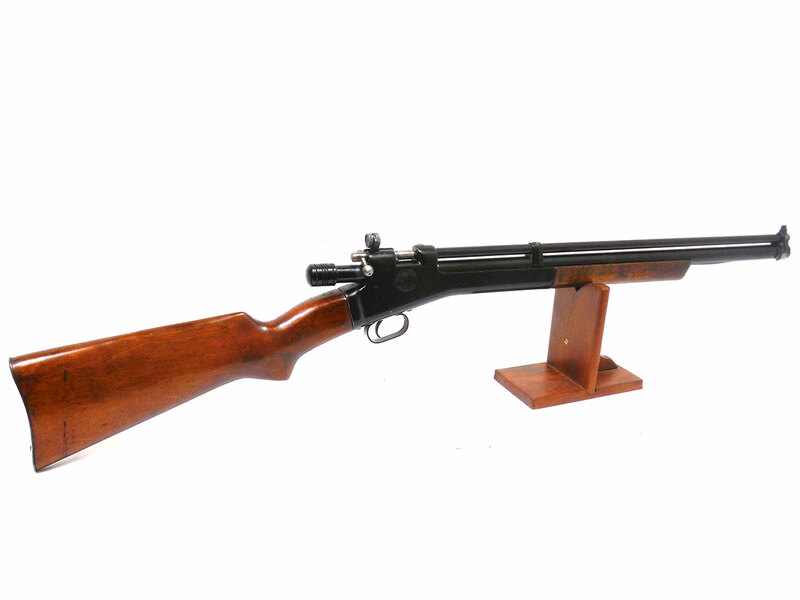 Crosman 100s were manufactured between 1924 and 1950. This particular one 1950’s era model which we can tell by the rounded receiver, and 5 ring cocking knob. 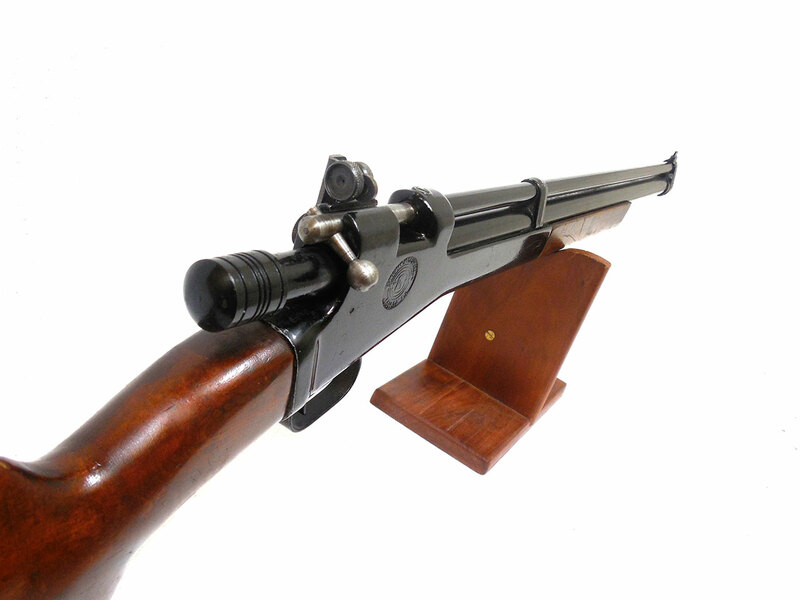 This one has a later style knurled peep sight on it. The metal retains about 90% of the finish, though it’s been repainted. Not here The wood stock and forearm look very nice, and have probably been refinished at some point. This one’s been cleaned, lubed, and resealed here in our shop. Velocity was tested at around 677 fps using lead pellets. Shoots good!